This was a time of major change at Boggo Road. 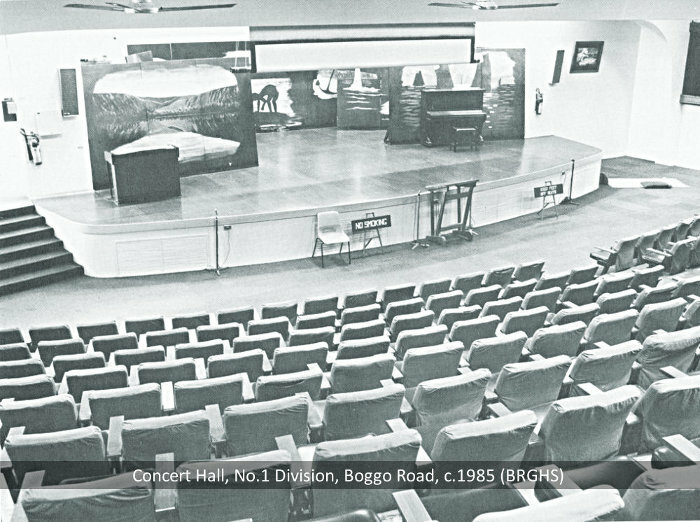 The original No.1 Division buildings, which were in a state of decay, were gradually demolished through the late-1960s/mid-1970s and replaced with a series of concrete and besser-block buildings which formed a large quadrangle, and the two and three-storey cellblocks themselves actually formed the prison walls. It has accommodation for 640 prisoners in separate cells with wash basins, toilets, desk, chair, cupboard and foam rubber beds - a far cry from the basic 19th-century facility it replaced. However, it soon became clear that the big new white prison was a white elephant after a long series of escape attempts exposed some design flaws. 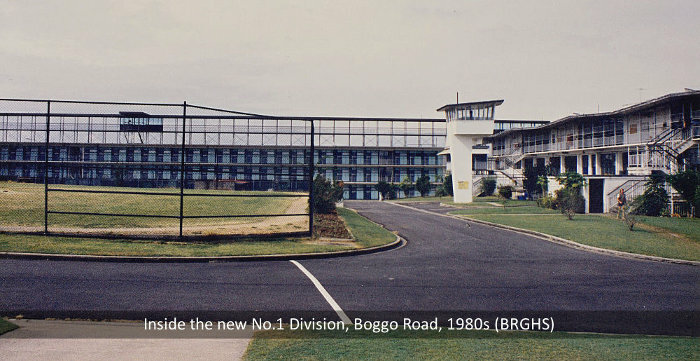 There were also big changes over at No.2 Division, which became a maximum security prison in 1974, with No.1 Division now being mainly used for lesser offenders and remand. 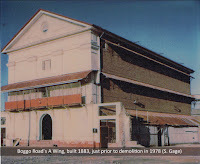 New industrial facilities were constructed within No.1 Division and the old workshops on the side of No.2 Division were demolished, as were tinsmith shops behind E Wing. In 1985-86 a contact visits centre was built adjacent to the 2 Division gatehouse, and officially opened in 1987. 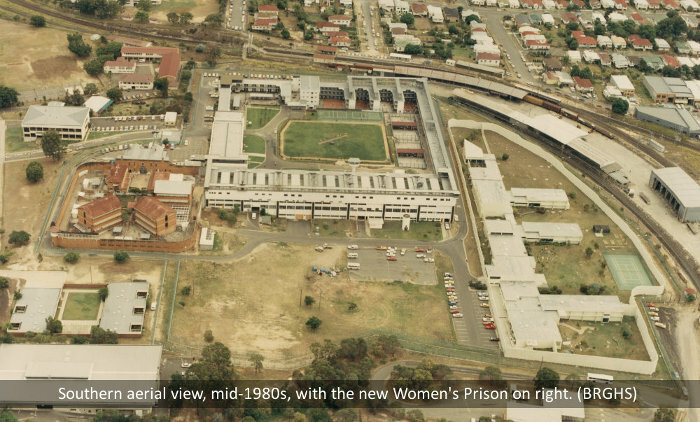 A modern Female Division was opened on the eastern side of the reserve in 1982 (this was renamed as the Brisbane Women's Correctional Centre in 1990). 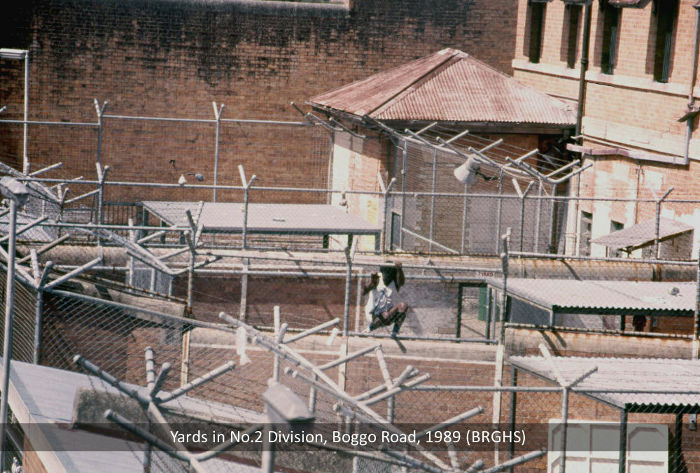 With the renewal of the male prisons having taken place less than a decade earlier, it was clear that the authorities thought there was a long-term future for the Boggo Road site. 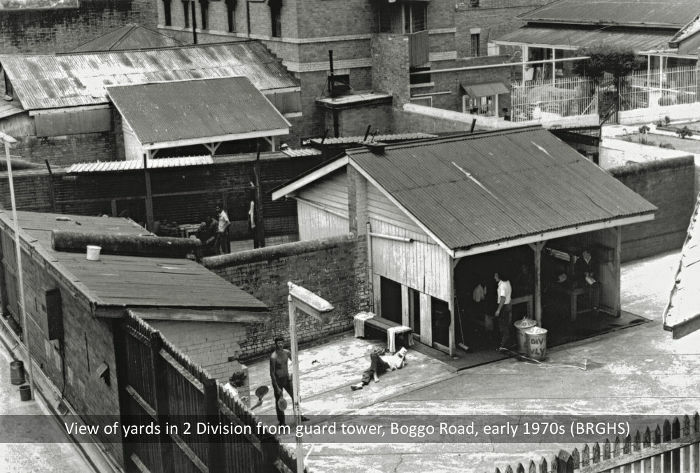 However, the 1980s proved to be the most turbulent decade in the prison's history, with prisoner unrest, including riots, hunger strikes and roof-top protests. Despite the millions poured into the prison over 20 years, the end was in sight.